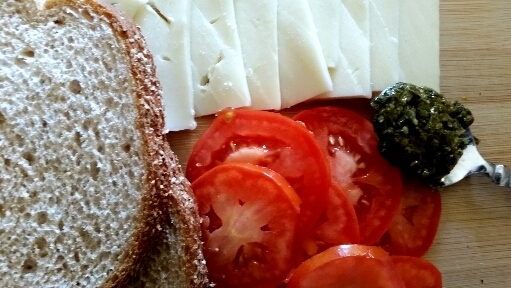 A quick bite on a relaxed morning which needs just a few minutes preparation and few ingredients! 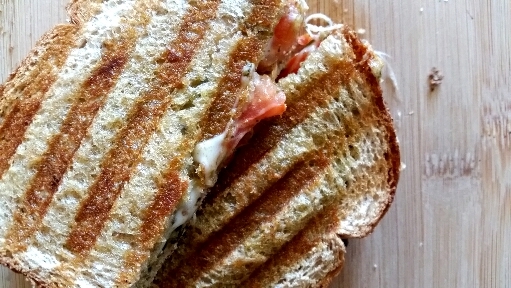 Mozzarella cheese sandwich with pesto and tomato, sprinkled with some butter and grilled until crispy, makes a great breakfast or brunch for a lazy morning! 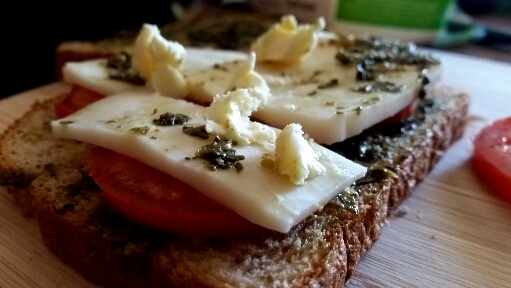 I’ve used tomato slices, generously grated mozzarella cheese, basil and sprinkled some butter- readily available four ingredients in our pantry! ▪ 1 big tomato, thinly sliced. ▪ Apply pesto generously on all bread slices. ▪ Close sandwich with remaining bread slices, apply butter on top and grill until crisp.